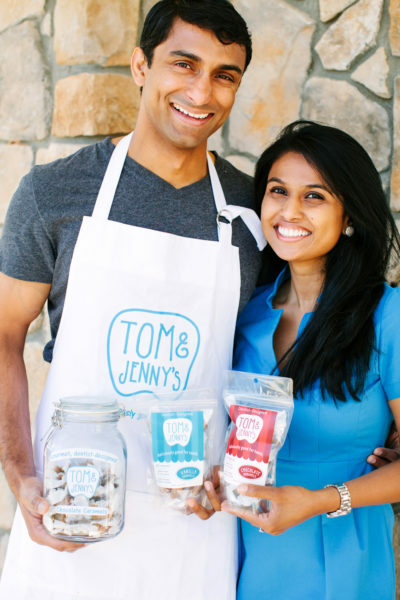 Through experimental batches made in their home kitchen (North Carolina, USA) and the expertise of chef Michael Laiskonis, Dr Sindhura Citineni (known as Dr Jenny) and her husband Tommy Thekkekandam (armed with an MBA degree and management consulting experience), have managed to whip up concoctions that can be eaten without the ghosts of cavities haunting you! Find out how the dynamic duo created a dental revolution…. 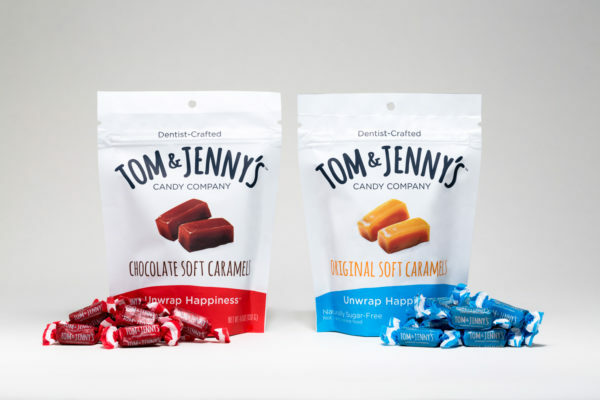 Tommy: “Jenny is a pediatric dentist with a sweet tooth. When she started her career six years ago, she learned that convincing her patients to cut out candy would be an uphill battle. Primarily because it’s very difficult to find sugar-free candies and snacks that taste the way sweets should. She also recognised the power of a brand to educate and empower consumers to make a real difference in their health. Because, while dentists only see their patients twice a year at best, large candy brands talk to those same consumers almost every day! Tommy: “There were five distinct phases to the development process. About five years ago, Jenny started amassing volumes of research on the health effects of natural sugar alternatives. After reviewing it, we had an idea of several plant-based sweeteners we wanted to try. Then we began experimenting in our home kitchen and over the course of ten months cooked over 200 batches of candy. We tried everything. From hard candy and mints to chocolates and gummy bears – and on a shoestring budget too. 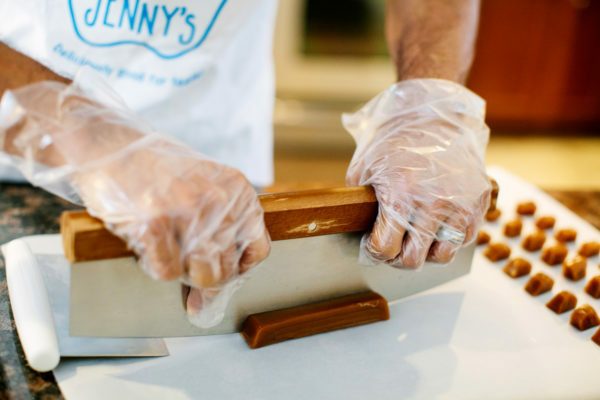 Along the way, our neighbours, friends and family became our guinea pigs and we knew we were onto something when they all started raving about the taste of the caramels. Our next step was to find an expert in confectionery who could help us ensure that our candies truly were delicious and indulgent. 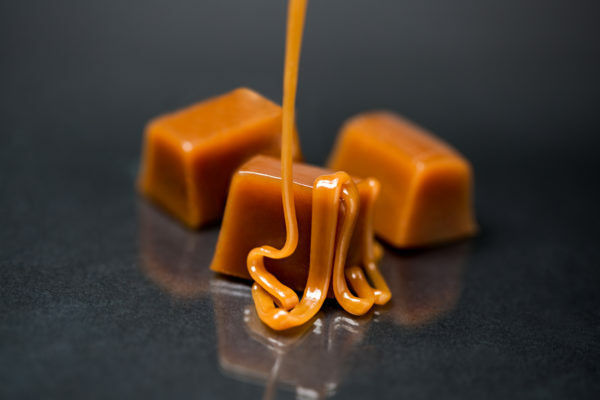 Chef Michael Laiskonis responded with a strong interest in the project and over several months worked with us to perfect our caramels. Next, we next found a small commercial kitchen where we could make 30 pounds of candy at a time. This was a very arduous, manual process and involved long hours standing over a hot stove… mixing, pouring, and hand-cutting candy. The purpose of this exercise was to test whether consumers would buy the candy and at what price, before we made big investments in large equipment or inventory.